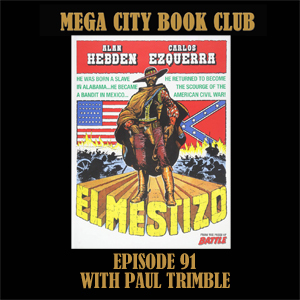 Paul Trimble is the organiser of the Enniskillen Comic Fest, and he has chosen a great book, El Mestizo by Alan Hebden and Carlos Ezquerra, which is now getting the attention it deserves thanks to a fine new collection from the Treasury of British Comics. Check out the Facebook page for Enniskillen Comic Fest. And get your copy of El Mestizo from the 2000AD online store. 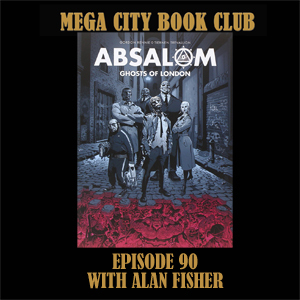 Alan Fisher joins me from sunny California to discuss the supernatural police adventures of Harry Absalom by Gordon Rennie and Tiernen Trevallion. Cleaning up his manor one demon at a time! And check out Tweeterhead to vote for your favourite character for a new range of high quality maquette statues based on some of Tharg's greatest thrills. You can get your copy of Absalom from the 2000AD online store. Ben K Sy is the owner and chief admin of the 1977-2000AD Facebook group, the friendliest place to discuss the galaxy's greatest comic on the internet. 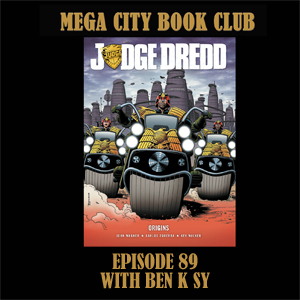 And he's brought Judge Dredd: Origins to the book club to discuss Wagner and Ezquerra's 30th anniversary classic that delves back to the earliest days of the judges' takeover of America. Got your copy from the 2000AD online store. 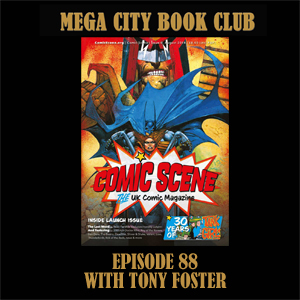 Tony Foster is the editor of the fabulous Comic Scene magazine which is jam-packed full of great articles about 2000AD and comics of all varieties. He joins me to talk about the behind the scenes work that goes into producing the magazine. Get your copy from your local newsagent or comic shop, or shop for back issues and digital issues at the Comic Scene online store. 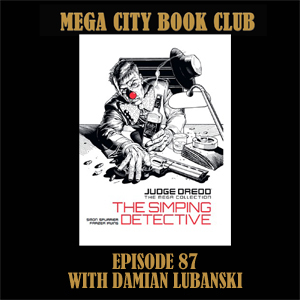 It's another pubcast as I meet up with Damian Lubanski to chat about 2000AD in some fabulous Polish hardback editions, and then to discuss The Simping Detective by Si Spurrier and Frazer Irving. Check out both Damian and the Southern Contingent on Twitter. Get your copy from the 2000AD store. 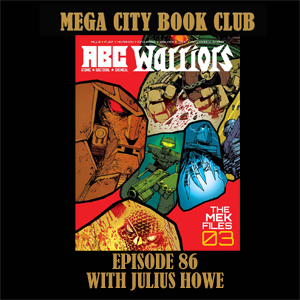 Julius Howe is back on the podcast to talk about original art collecting, the legacy of Carlos Ezquerra, and the third volume of the ABC Warriors. Check out the art of Carlos Ezquerra facebook page for more details. And pick up your copy of the Mek Files from the 2000AD online store. 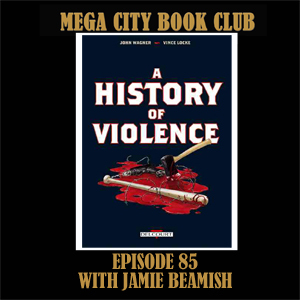 Jamie Beamish is my guest to talk about a journey into modern noir by John Wagner and Vince Locke. We also discuss Jamie's own career as an actor. 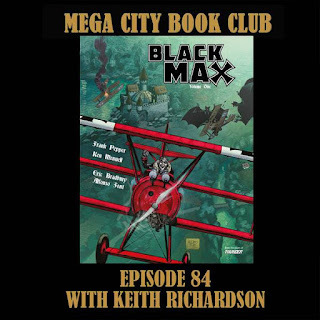 I'm back in a London pub with Keith Richardson to discuss Black Max from the pages of Thunder comics, and to talk about some great upcoming releases from the Treasury of British Comics in 2019. Get your copy of Black Max from the 2000AD store.